Are Maryland Policy Holders’ Long-Term Disability Benefits Offset By Social Security Benefits? The short answer is that it depends on the plan language. However, it is common for plans to include a provision whereby the benefits they owe a claimant will be offset by any Social Security benefits they receive. A Maryland attorney familiar with both private and government disability claims can look at the written policy and help you determine what benefits are available to you. In a recent case dealing with this issue, a plaintiff filed suit against US Cotton LLC Long Term Disability Plan and related defendants claiming, among other things, they wrongfully denied him benefits. Two defendants filed a motion for judgment on the pleadings. A third entity related to the defendants moved to dismiss the case. The case arose when the plaintiff was diagnosed with chronic obstructive pulmonary disorder (COPD). It caused him to have breathing difficulties. His doctor told him to maintain all forms of insurance. He purchased a private long-term disability policy so that his family was provided for in the event he couldn’t work. The next year, he also purchased long-term disability insurance through a new employer (US Cotton). In 2002, US Cotton’s HR representatives told the plaintiff that they had adopted an ERISA plan that would provide long-term disability coverage. They told him there was no difference between his long-term disability coverage and his private insurance. However, they failed to tell him that there were tax differences between the plans. They also told the plaintiff that he would receive 60% under the new plan, just as he was receiving under the old plan. They didn’t give him written documents describing the Plan. Next year, at another HR meeting, he was advised of the same things. They did not let him know there could be offsets in the amount to which he was entitled. They held annual meetings the following years as well, at which the same information was imparted to the plaintiff. 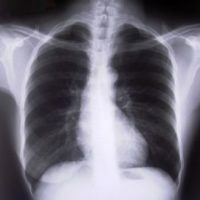 In 2008, the plaintiff told the HR representative at his job that he couldn’t work anymore because of his COPD and presented her with a doctor’s note that said he was totally disabled. The HR rep said he would receive 60% of pay until he retired. In 2010, the plaintiff was approved for Social Security disability benefits. He still paid his premiums for the disability plan. Later that year, however, he got a call from an insurance representative wanting him to sign up for Social Security. He told the plaintiff that his long-term disability benefits would be offset by any Social Security disability benefits he received. The insurer stopped paying disability benefits for three months after he submitted documents to show he’d received Social Security benefits. Later they told him that the Plan had overpaid him by about $6000 and that $1,966.60 would be withheld from their checks to him to offset the sum he received from Social Security. The plaintiff filed suit claiming he had never seen the policy and reiterating how often the company had told him he would be covered without any offsets. The defendants argued that the written terms of the Plan were controlling. The appellate court explained that the written terms of the plan governed the allocation and distribution of benefits, notwithstanding the HR representatives’ statements. However, the Court found the plaintiff had a plausible claim (a claim that could survive the defendants’ motions to dismiss) that the defendants had breached their fiduciary duty to him by failing to tell him there was a written document that described the terms of the Plan, including the potential offset based on Social Security benefits. If you have become seriously disabled and need to file either a disability claim with your insurer or the government, you should consult with an experienced Maryland long-term disability attorney as soon as possible to avoid compromising your case or losing your rights. Contact the attorneys of Steinhardt, Siskind and Lieberman at (866) 902-4111 or via our online form.